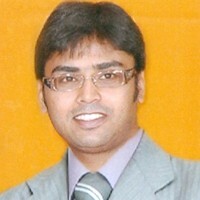 Dr. Phani Babu.M is a Consultant Pediatric Dentist in Rajan Dental Hospital. He has received Gold Medal during his specialisation in Pedodontics. He is an active member of ISPPD. He has also received Gold Shield in the year 2012 from Dr. MGR Medical University. Received Gold medal – Pharmacology, OMFS, Ortho, Perio.